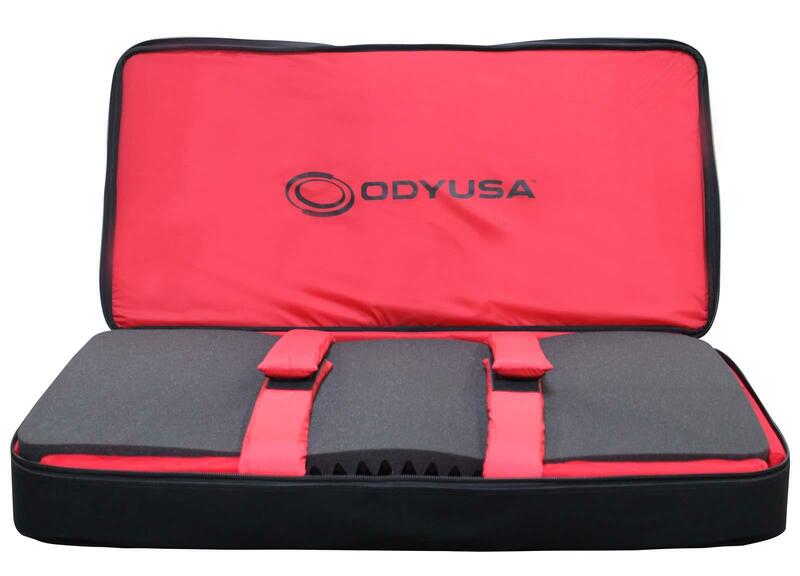 The Odyssey BRLDIGITAL3XL is a triple extra large digital media gear bag that lets you take a wide variety of your essential gear for your digital set up from one gig to the next. The main compartment includes foam inserts that can easily be adjusted to safely store the popular Pioneer DDJ-SZ or other similar sized gear while in the second section store 2 laptops side by side or an accessory of comparable size (such as our LSTAND360 folding laptop stand). 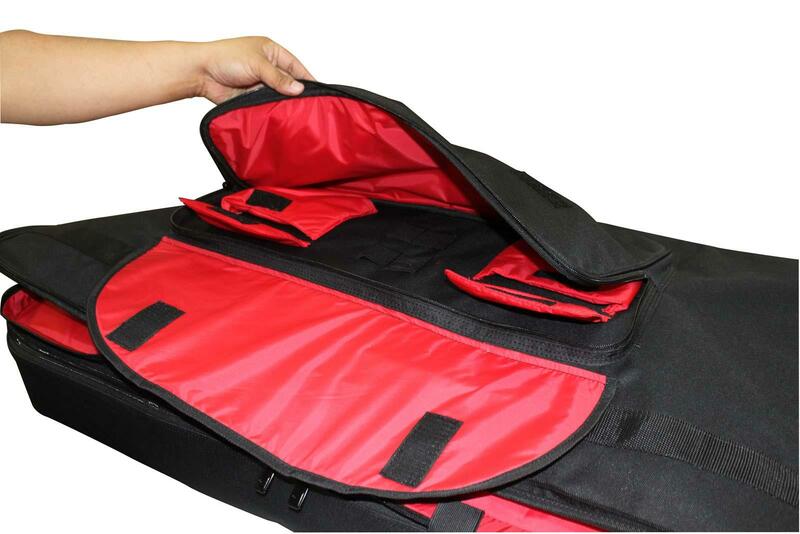 There's even a smaller dedicated pocket for tablets. 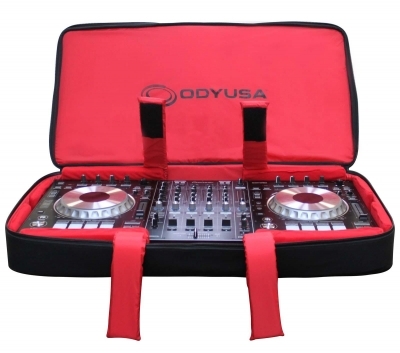 The front compartment includes cable straps and padded pockets that can be used for smaller more compact gear such as hard drives, power adapters, and microphones. 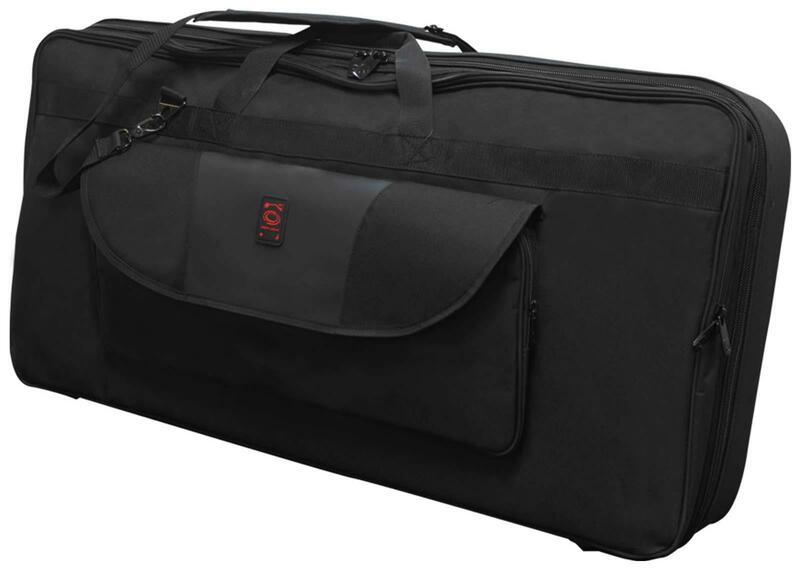 • Main Compartment Interior Dimensions: 34.5" x 17" x 4"
• Front Compartment Interior Dimensions: 21.5" x 8.5"
• Laptop / Accessory Compartments Interior Dimensions: 14" x 11"
• Tablet / Accessory Compartment Interior Dimensions: 9.75" x 7.5"
37.25" x 18.5" x 7"